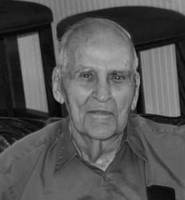 Provide comfort for the family of Homer G. Dickenson with a meaningful gesture of sympathy. Homer Glen Dickenson passed from this life into the glorious presence of his LORD and Savior on December 4, 2018 at the age of 97. He was born in Melissa, Texas on August 17, 1921. He lived in Waco from a young child until his death. Homer graduated from Waco High School in 1939. He worked for Central Texas Iron Works and then spent over 50 years as a hardware salesman for Waco Hardware. He also worked over 50 years at the press gate for Baylor football games at both Municipal Stadium and then Floyd Casey Stadium. He was a charter member of Central United Methodist Church. He served his church in many capacities over the years. Homer served his country as a First Lieutenant in the Army Air Corp (Air Force) from August, 1942 to October, 1945. He was a flight engineer on a B-29 Bomber. He was awarded numerous medals, most notable being the Distinguished Flying Cross and the Air Medal with 7 Oakleaf Clusters. When he returned from the war, he married the love of his life, Margaret Leonard. They were married for 73 years and lived in the home they built together for 68 years. His greatest legacy and the thing that made him most proud were his sons, Glen Dickenson and Dale Dickenson and his grandsons, Drew Dickenson and Jarrod Dickenson. Family was so important to Homer and he was never happier than when his entire family was gathered around him. This included not only Margaret, but also his sons and grandsons, Dale's wife, Teresa, Drew's wife, Jodi and Jarrod's wife, Claire. This past Thanksgiving was that perfect gathering for him. He was preceded in death by his parents and his brothers, Charlie Dickenson and Leo Rae Dickenson. Survivors include his wife, Margaret; sons, Glen and Dale and wife, Teresa; his grandchildren, Drew and wife, Jodi and Jarrod and wife, Claire. Homer requested that there be no funeral service. Instead, he would like for his family and friends to remember the good times they had on their own time. Memorials can be made to Central United Methodist Church or Caritas. To send flowers in memory of Homer G. Dickenson, please visit our Heartfelt Sympathies Store. We encourage you to share your most beloved memories of Homer G. here, so that the family and other loved ones can always see it. You can upload cherished photographs, or share your favorite stories, and can even comment on those shared by others. Provide comfort for the family of Homer G. Dickenson by sending flowers. The New England Air Museum, home of the 58th Bomb Wing Memorial, sends its sincere condolences to the family and friends of this true American patriot and hero May he rest in peace. To the Homer Dickerson Family, Our thoughts and prayers are with you at this most sad occasion. My you be consoled with all your most precious memories.